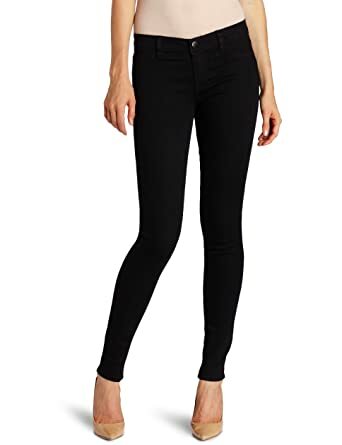 Every woman should own a good pair of black skinnies. Black skinny pants are a necessity because they can be dressed up or down easily. They can be worn to work or out on the weekends. I love this pair from Calvin Klein Jeans. These pants are my go to pants because they are comfortable and a great fit. The stretchy material allows you to move around and enjoy that second helping of dessert if you choose to, but they don't stretch out after you wear them so no need to toss them in the dryer after each wear. The fit is skinny all they way down to your ankle, perfect to tuck into boots or wear with a great pair of flats. Live in Milwakee and still deciding where to bring in the New Year? Check out OnMilwaukee's list of Milwaukee Bars featuring New Year's Celebrations you won't want to miss! This salad is my absolute favorite. It incorporates many healthy ingredients so you'll feel completely guilt free after chowing down. I love making this salad because Sasha's Sweet and Savory Salad Dressing is so versatile that you can toss in all kinds of different fresh fruits and vegetables. I promise, you will LOVE this salad! Give it a try as a great lunch to take to work or to have as a side salad with dinner. I use arugula or spinach as the base of the salad, and then usually layer on the following: strawberries, apples, almond slices, feta cheese, red pepper, yellow pepper, avocado, and a few craisins. Feel free to experiment with the fruits and veggies you have on hand. Other good options are mandarin oranges, blueberries, and orange or green bell peppers. Drizzle Sasha's Sweet and Savory Salad Dressing over the salad and enjoy. Let's cut to the chase here- the RIGHT foundation is everything. Foundation can make or break your makeup application. If you're using the right foundation it blends well with your skin tone, covers up blemishes, and serves as the foundation (pun intended) of your makeup application. If you don't have the right foundation disaster has struck, your neck is a different color than your face, your makeup may look cakey and let's face it, those zits are out to play. Finding the best foundation for your skin is an ongoing process but is 100% necessary. There will always be new foundations with different benefits but as long as your foundation does the below 3 things for you, you should be looking good. 1.) Foundation MUST match your skin coloring. If you don't know your shade, go to a makeup counter, to a cosmetic store like Sephora or somewhere you can get matched. The beauticians at these places are there to help you- ask them to tell you what your color is so you don't have to play the guessing game! Make sure to get matched once during the summer and once during the winter. Also, remember your shades so if you decide to try a new foundation you know what color to buy. 2.) Foundation should not be too heavy or thick. If your face feels trapped by your foundation that's a good sign the foundation you are using is too heavy. People need different amounts of coverage, "lightweight" foundation may sound nice but if you need more coverage this is not for you. Make sure you find a balance between getting the coverage you need and letting your skin breath. 3.) Foundation benefits must cater to your current skincare needs. Example: my skin tends to get oily throughout the day so I make sure to use foundation that is Oil-free. If you are acne prone find one that helps fight acne. If you are worried about aging skin use one that has anti aging benefits. What I have found works for me is Makeup Forever Mat Velvet Foundation. The coverage never looks thick and the foundation stays on throughout my 10 hour work day. If you have oily skin or need a foundation to last a full day I recommend trying this brand. You can buy it here: Makeup Forever Mat Velvet Foundation. One last thing: Don;t be afraid to spend a little more on your foundation if necessary. The important thing here is finding the right foundation for YOU, whether it is $5 or $45. Easy + healthy + affordable= Tomato Basil Mozzarella skewers. These tasty bites are perfect to bring along to parties if you're on appetizer duty, and also go well in your lunch as a side or snack. If you have a Holiday party to go to, the red and green make this dish festive. Drain mozzarella pearls and place in a medium size plastic container. Wash tomatoes and then add them in with the mozzarella pearls. Drizzle olive oil and balsamic vinegar over cheese and tomatoes. Sprinkle Oregano salt, and pepper onto the mixture. When I went to make these the store was out of fresh basil leaves so I just used what I had in my spice rack. If this is the case, sprinkle the basil on now. Put the lid on the container, give it a good shake to coat and then refrigerate for 1 hour. If you are in a hurry you don't have to let them sit for an hour, but make sure that all of the cheese and tomatoes get coated with the oil and vinegar mixture. Tear the basil leaves into small pieces, about the size of a dime. Once the cheese and tomatoes are done marinating, simply stack them onto the toothpicks in this order: mozzarella pearl, basil leaf, tomato, basil leaf, mozzarella pearl. Make as many as you need! Whenever I have people over, one of the first things they tell me is how good my apartment smells. The best way to freshen up your place is with a Scentsy. The way Scentsy's work is is by having a low watt light bulb that warms and melts wax bars to emit the scent of your choice. They have many different Scentsy warmers so you can choose a design that goes with your home. My personal favorite is the one pictured above. You can buy your Scentsy through the link below. You will need a Scentsy Consultant to complete your purchase so make sure to search for one in your area! You can also buy wax bars in almost any scent imaginable. I like to buy scents that go with the seasons, I love Pumpkin Roll and Cinnamon Bear for Fall, and Festival of Trees for Winter. The nice thing about the wax bars is that you can control the strength of your scent by deciding how much wax you use. You can also get creative by mixing two scents together. 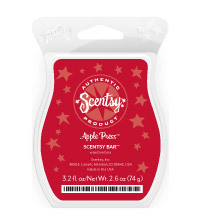 Wax bars can also be purchased from the Scentsy link above, but if you are in need of a quick refill you can get them at Walgreens or Walmart. The refills look like the image below. *GREAT GIFT: The Scentsy makes for a wonderful gift. I got mine as a gift from my boyfriend three years ago and it has been one of my favorite gifts to date. These are great to give co-workers, as hostess gifts, or to friends. The warmers run at about $30 depending on the size of the warmer. Cheesecake is usually code for indulgence. When you're in the mood for cheesecake nothing else will do. 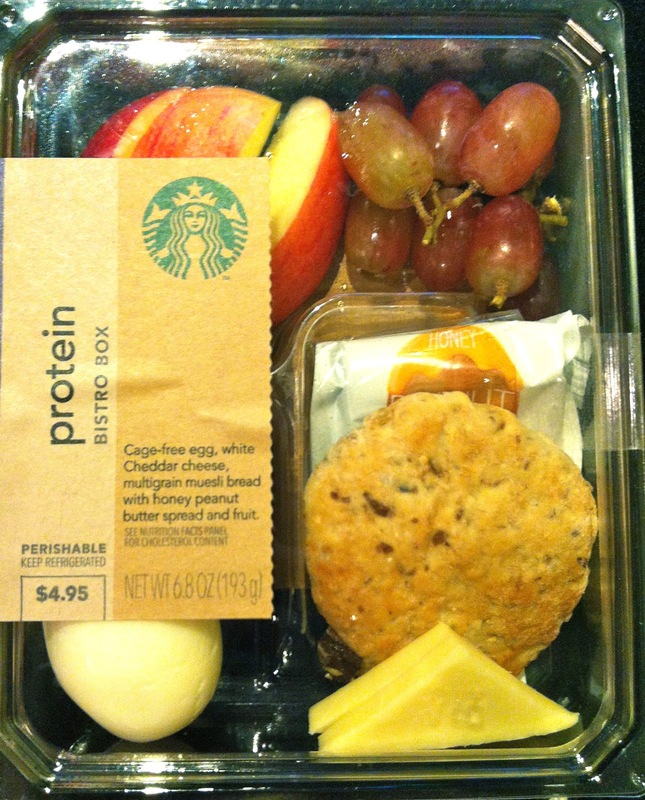 Good news, now you can enjoy your cheesecake for under 200 calories! 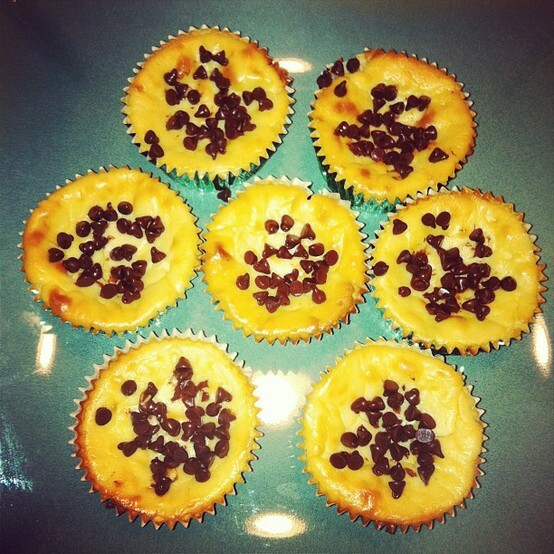 This yummy cheesecake recipe is easy to make and definitely cures the craving. Preheat oven to 325. Line a muffin tin with 8 muffin liners and place 1 Oreo at the bottom of each muffin liner. Mix the cream cheese block until smooth, microwave for about 40 seconds if it's not soft already. Make sure to mix until all clumps are gone. Stir in the Greek yogurt, lemon juice, egg, sugar and vanilla. Stir until combined. Pour cream cheese mixture over the 8 muffin liners. Bake for about 50 minutes. Remove the cheesecakes from the oven and let cool for 20 minutes. Press mini chocolate chips onto the tops of the cheesecakes and refrigerate. I LOVE BOOTS. In my mind, a good boot collection is key to winter dressing. Don't be afraid to invest in a couple key pairs. 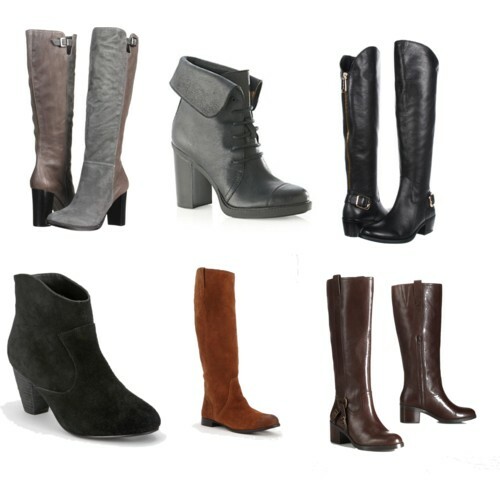 I think everyone should own a pair of tall black boots, brown riding boots, and one pair of booties. Here are some of my favorites. Potstickers are a great low calorie, high protein snack or side dish. You can microwave them for about 3-4 minutes and they are all ready to eat. I love Trader Joe's Chicken Gyoza Potstickers. You can enjoy 7 potstickers for only 230 calories and 13 grams of protein. I usually eat mine with Trader Joe's Sweet Chili Sauce. 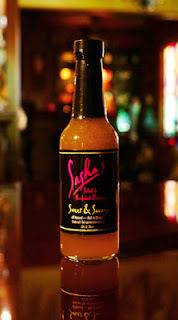 This Sweet Chili Sauce is similar to a sweet and sour sauce with a touch of spice. It's perfect to use as a dipping sauce for Potstickers, Spring Rolls and other appetizers. You can get the sauce at Trader Joe's. If know you me, you know I have an addiction. It is called Summer Heights High. This HBO Mini series is absolutely hilarious. I mean it. Pee your pants funny. Also inappropriate so take that into consideration when gifting it:) $10 on Amazon. 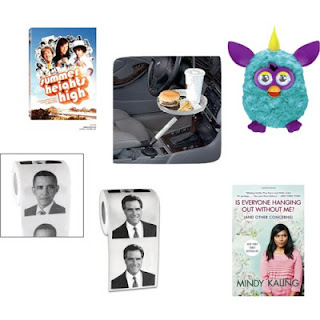 If there is someone you hate that you need to give a gift to, give them a Furby. Looking at this thing makes me crack up because years ago someone gave me a Furby and I literally could not get it to shut up. This is the perfect gift for your impatient friends. 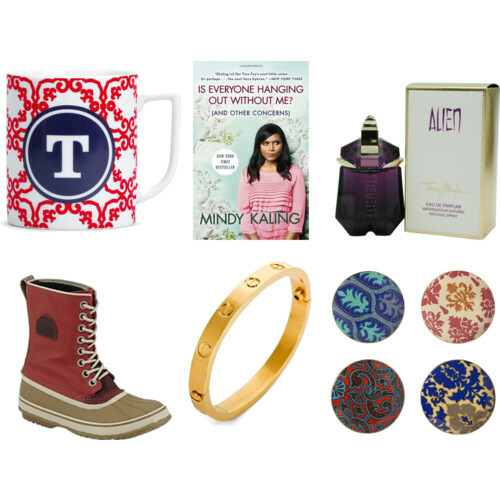 Know someone who still isn't over the election? Yeah, I do too. Give them presidential toilet paper help them get over it! This book is back making a second appearance because it's that good. I just ordered myself a second copy. And it's under $10. Like to Grill? Get a Sportula! You can select any sports team imaginable. $25 on Amazon. Guys need winter boots too. Get a pair of these for your guy and keep him warm all winter. I promise, he will feel manly in these! $140 from Boston Store. This Monogrammed Coffee Mug from C Wonder is adorable, who wouldn't want one of these?! $10 from C Wonder online. Book: Is Everyone Hanging Out Without Me? Every girl needs a good book for Christmas to replace the Mary Kate and Ashley movie void they have had since the Olsen twins stopped making movies. Mindy Kaling's book, Is Everyone Hanging Out Without me is hilarious. Tons of silly girl humor that every woman can appreciate. It's a quick read that is perfect for this time of year. Plus, who doesn't feel awesome when you give books to people? Buy it on Amazon for under $10. Want to smell pretty? Buy this perfume! I have been wearing this perfume for about 2 years now and get complements on the scent all the time. Women love perfume but hate to buy it for themselves because of the price tag. Thierry Mugler Alien perfume is the way to go. $46 on Amazon. I almost gave in to these super cute boots. If I didn't already have a pair of Sorel's I would buy these red Sorel Boots in a heart beat. Ladies; live in the midwest and don't own a pair of Sorel's? Get some! They are really the best boots to take on the weather. If you have nieces, cousins, anyone who is walking to class in the winter they need a pair of Sorel boots. End of story. $130 at Boston Store. All I need to tell you is to buy this salad dressing. It's truly an amazing dressing that goes well on any kind of salad. I make many salads with this dressing and everyone LOVES it. It pairs nicely with spinach and arugula especially. You can buy it for only $5.25 a bottle! Buy it at the link below. Over the course of the day, my skin tends to get oily. 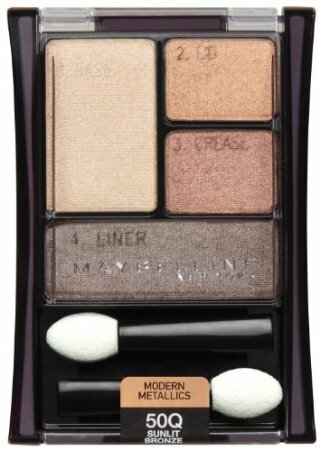 I've used oil blotting pads for years but I recently stumbled upon Maybelline Shine Free loose powder. This powder is great to keep oil off of your face. I dust the powder on after I apply foundation, but before I apply bronzer. This powder not only controls oil, but also works as a primer after you apply foundation. It helps dry the liquid foundation and prep your skin for bronzing powder. I usually apply the shine free powder in the morning and sometimes reapply at lunch or as needed. If you get oily, give this powder a try for under $5! 1.) Draw a stocking pattern on paper or use a current stocking to trace the outline onto your fabric that you want the body of the stocking to be. Make sure fabric is folded so it doubles when you cut. 2.) 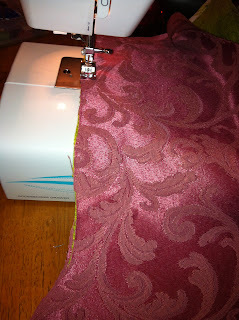 Trace the pattern on fabric that you want to use as a lining, I used red. Once this is done you should have 4 cutouts total per stocking, all the same size. 2 for the body of the stocking, 2 for the lining of the stocking. I was making 2 stockings (one green, one black and white) so don't let the image below fool you. 3.) Choose what fabric you want to use for accents. 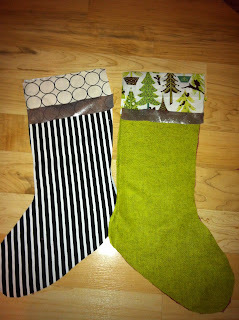 I used a christmas tree print for the green stocking and a white dot print for the black and white stocking. 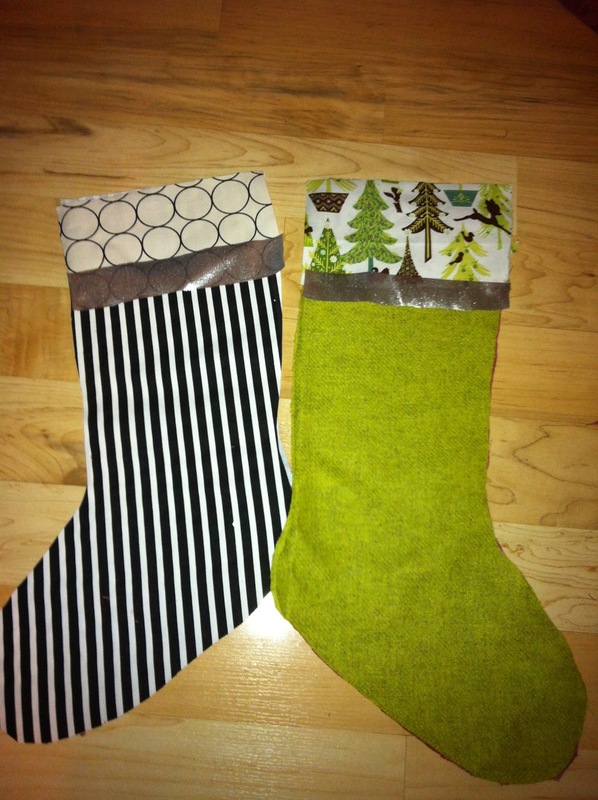 Cut two pieces of each so they are the same width of the stocking body. You decide how long you want them. 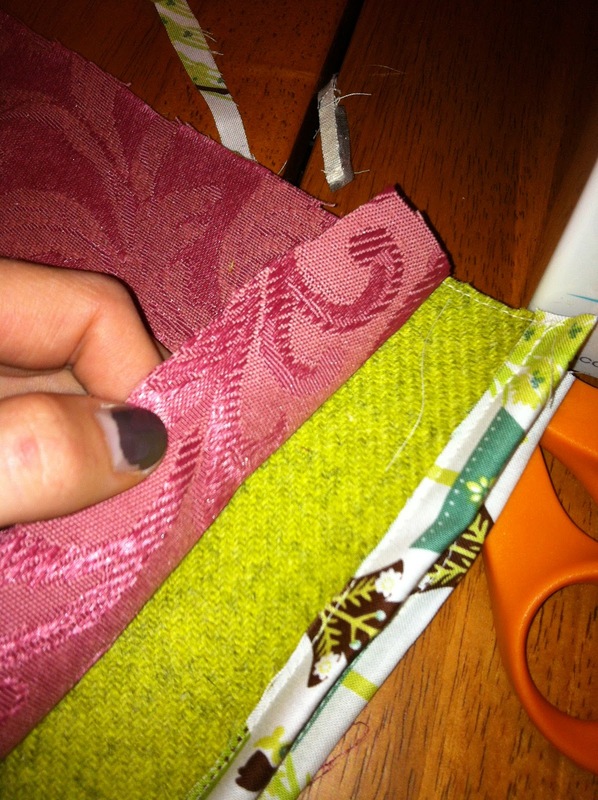 If you want to add more than one contrasting fabric, this is where you can get creative. I decided to line each with a silver trim shown above. I cut out 4 pieces of the silver trim, 2 for each stocking. 4.) Now that your fabric is cut, it's time to sew. Place the lining fabric aside, you won't need this until the end. Take the fabric you chose as accent fabric and sew it to the stocking body. 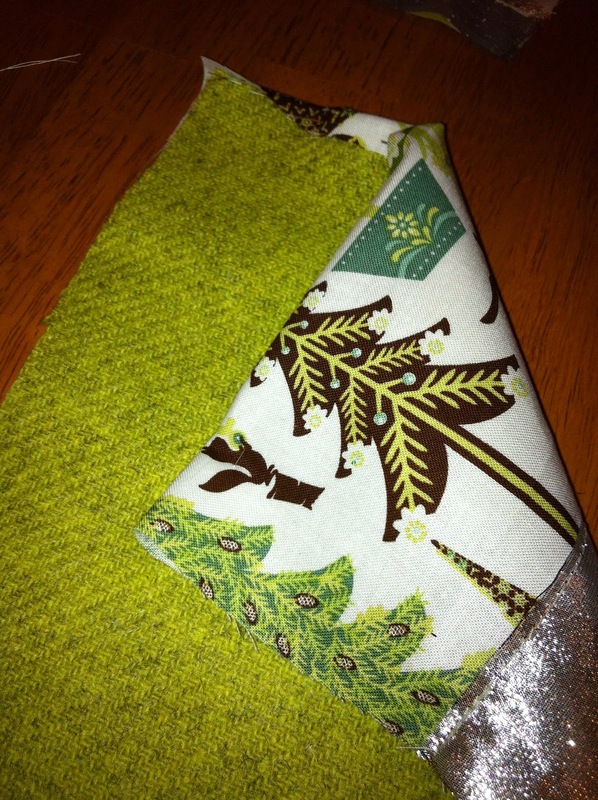 You will have to line the contrasting fabric up to where you want it to go on the stocking and pin it down before you sew. Make sure to do each side of the stocking separately. You want to treat each side like it is it's own piece. 5.) Be sure to sew all ends of the contrasting fabric down to the stocking body so that it doesn't hang loose. Cut off edges of fabric that hang over the edge of the stocking body so you have a clean look. 6.) Once you have completed the outside, it is time to sew the lining on. Make sure that any additional accents like initials are sewn on now. This will become much harder if you have to do it later! 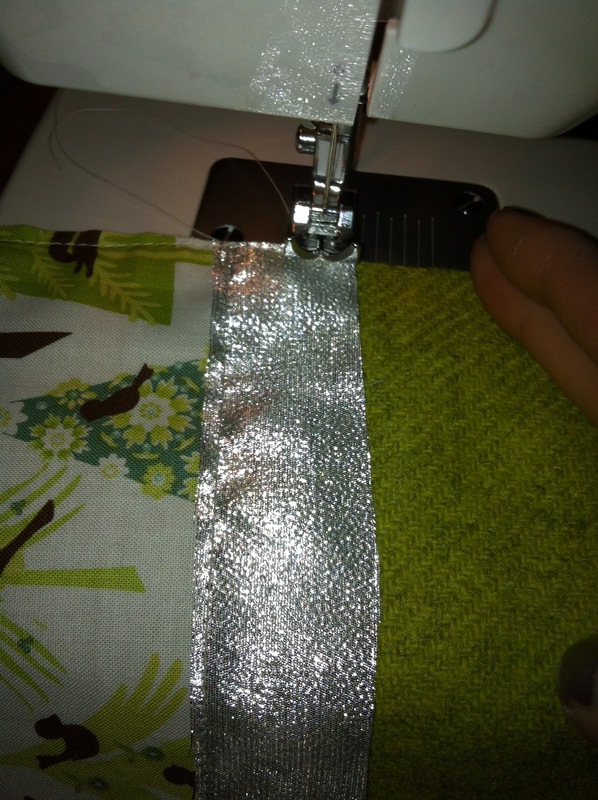 To sew the lining, first start by lining up each piece with its corresponding lining piece. 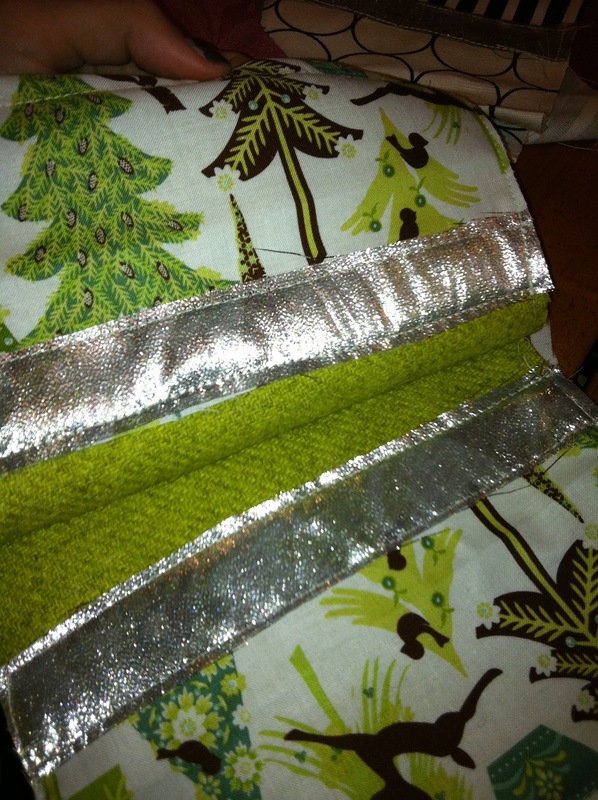 Sew the top of the lining to the top of the stocking body. That way the lining won't hang loose. You will have to do this twice, once to each side of the stocking. After you have done that, line up the stockings so they are inside out with the lining facing out. 7.) Pin the fabric so it holds in place. Begin to sew along the outside of the pattern. 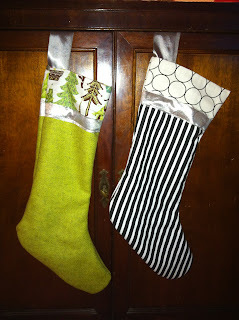 Sew all around the stocking except not on the top- you don't want to sew the stocking shut! 8.) After you have sewn the perimeter of the stocking, flip it right-side out. Cut all loose threads. If you want your stocking to be able to hang, this is when you can sew a ribbon or extra piece of fabric on. 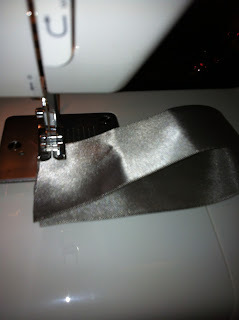 I used silver ribbon that I sewed into a loop by simply folding and sewing the ends together. Once you have this, hand sew it into your stocking where you want it placed. All done! If you haven't made the switch to Greek style yogurt, now is the time. With all of the options we have for Greek yogurt you are bound to find one that you like. It is obvious that greek style yogurt has many health benefits, most obviously the protein content. An average Greek yogurt contains around 11 grams of protein while an average conventional style yogurt contains about 5 grams. Protein is important because it helps your body feel fuller for longer periods of time. Now that I have convinced you to stop buying conventional style yogurt, what brand of Greek yogurt should you buy? 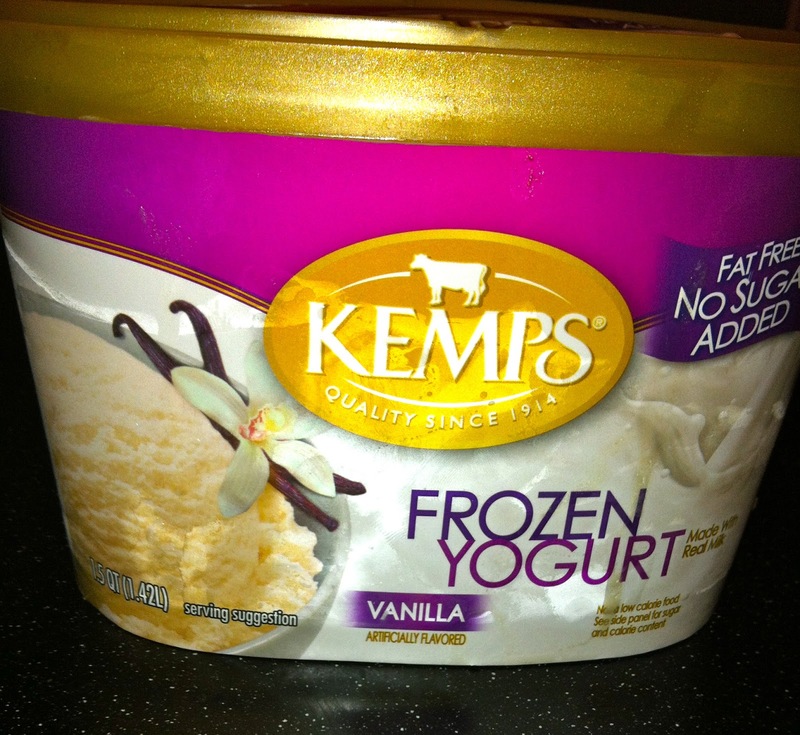 Nowadays there are many brands of Greek yogurt, and quite frankly some are a rip off. I can't justify telling you to buy a 6 oz yogurt for $2.50 just because it is healthier, so I've gone out and tried many different brands to see which is really worth your buck. The winner is...Trader Joe's Nonfat Greek Style Yogurt. For only $0.99 this brand is hard to top! I am sure that 90% of you who already eat Greek yogurt eat Chobani so below I've compared the two. -Trader Joe's Greek Strawberry Yogurt has 12 grams of protein, 120 calories and 14 grams of sugar in a 6 oz serving. Cost is $0.99. -Chobani Strawberry Yogurt has 14 grams of protein, 140 calories, and 19 grams of sugar (yuck!) in a 6 oz servng. Cost is about $1.39 (depending on where you buy). Bottom Line? Go with Trader Joe's Greek Yogurt! Ladies: we are in the era of the sweatshirt. I love this style top because you can throw it on, it's comfortable and cute. What I love about this particular Sweatshirt is the graphic on it. I enjoy wearing graphic tees and sweatshirts, but picking the right graphic can be hard...especially when you are over the age of 18. I LOVE this Marilyn Graphic sweatshirt. 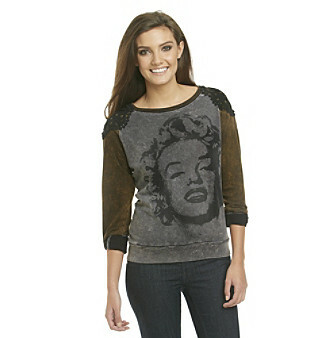 The graphic is age appropriate and the lace detail and burnout style make it trendy. This sweatshirt can be found at Boston Store for only $59. Use a coupon or the current promo code and you can go home with it for only $45! 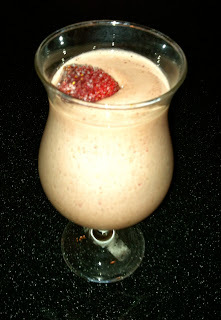 If you haven't tried making protein smoothies yet, please try this recipe! Protein smoothies are a perfect way to get more protein into your diets. Plus, they taste good! 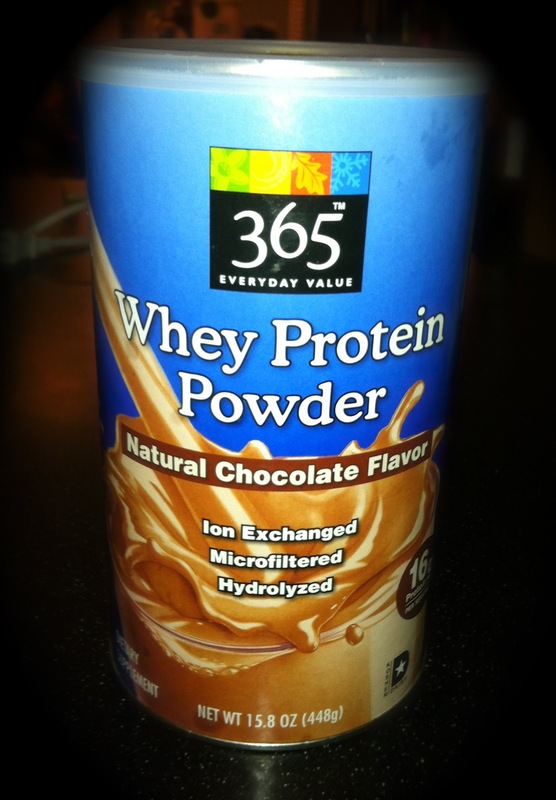 If you are new to cooking with protein I recommend getting Chocolate Protein Powder. I love protein smoothies to bring as an on the go breakfast to work. 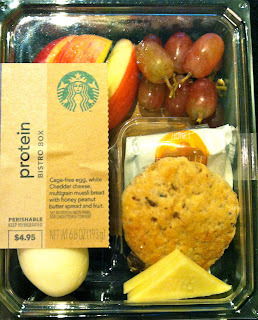 They keep you full all morning and include fruit, dairy, and protein- pretty good! Pour chocolate milk into blender. Add 1 scoop protein powder, a handful of frozen strawberries, and a handful of ice cubes to blender. Blend until smooth. Pour into a cup and enjoy! Finding unique, special pieces for your home isn't easy. I always turn to DENY Designs to find something different. DENY is a website that features several artists and their artwork. How it works is that you choose what art piece you like and then they create it into throw pillows, shower curtains, duvet covers, jewelry armoires and more. They are always changing the featured artists on the site so every time you click there are new options. 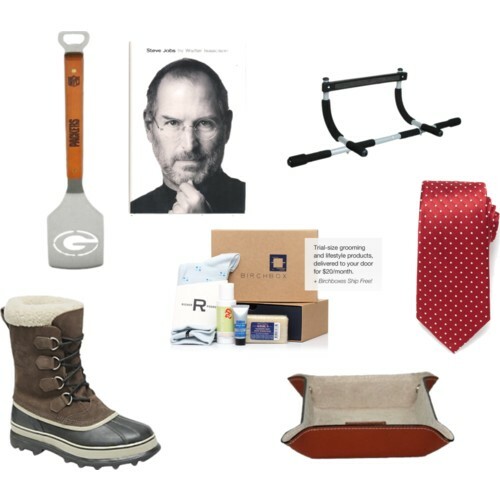 Another cool feature of this site is that you can choose to create your own by uploading an image you have, and then they create it into one of the products they offer. You can shop by product or artist, either way you will surly see things you like. I personally love the duvet covers-they're really soft! 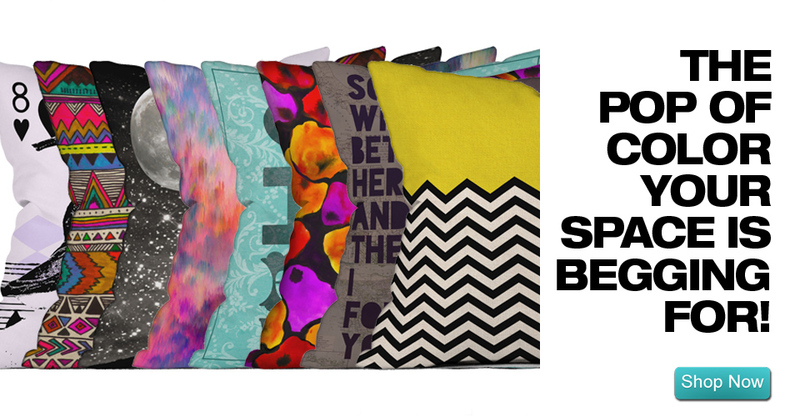 GREAT GIFT: With all of the different styles of artwork you can find on DENY Designs there is something for everyone! I love giving the throw pillows as gifts. Starting at $39 they are affordable and useful. Try gifting these to your co-workers, relatives or friends. I also think the shower curtains are awesome. 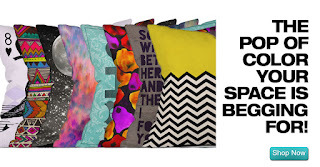 These start at $89 and are a great way to bring color and personality to your bathrooms. All I have to say about Braise Restaurant in Walkers Point Milwaukee is WOW. Everything on the menu is fresh and locally sourced and is simply fantastic. I went with a girlfriend for a Saturday night dinner and drinks date and we both left incredibly pleased with our restaurant choice. The environment is more rustic with wood surroundings and lots of character. I would recommend going to Braise with girlfriends or a small group of friends, on a date (as long as they like small plates too) or with family. This place will please all-gaurenteed! Now to the good part, the food! We elected to go the small plates route and below are the dishes we sampled. (Yes- you do see two desserts) Everything was amazing. You could taste the freshness in every bite and the fact that all of the food is locally produced makes you feel great about supporting the community. The portions are just the right size for two people so if you are with more than that order accordingly. We started with the Cheese Plate which offered three different tastes of cheese, grilled bread and a berry spread. This is a great dish to start off with. We then moved the the Roasted Squash Salad. I was shocked at how much I liked it. A mix of greens with shaves of roasted squash served as a perfect light winter salad. We then ordered the Steamed Pork Buns. This was recommended by our server and I'm thrilled we listened to her! The pork was chopped into small pieces, similar to how you would expect the meat in a lettuce wrap, but served over a soft, less doughy bun. There was a great green sauce topping the pork that tied the whole bite together. Sprinkle the slaw the buns are served on over the pork for a delightful crunchy texture. After having three amazing small plates we couldn't resist seeing what the dessert menu had to offer. We went for the Cranberry Raisin Tart and the Chocolate Praline Cake. Each was served with a small scoop of homemade yogurt ice cream. Both dessert choices were divine. If you're a girl, you are probably hesitant to try cooking with protein powder for obvious reasons. Protein powder has been categorized with muscle building and men, but let's face it- women can benefit from a little protein too! 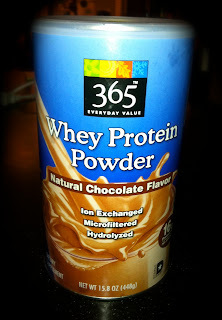 I love Whole foods 365 Chocolate Whey Protein Powder. This is always in my pantry and perfect for breakfast smoothies. Protein is great for muscle repair and to keep you satiated. Mix this into a smoothie for a beneficial post workout snack, or for an on the go breakfast option. Check out the Breakfast tab for my favorite protein smoothie recipes. In the mood for a Mojito? 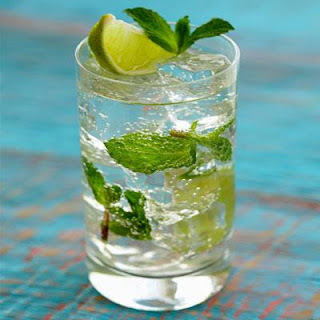 Try Shape Magazine's yummy "Faux"Jito! I love a traditional Mojito but they are filled with sugar and calories. The "Faux" Jito on the other hand only has sugar around the rim. 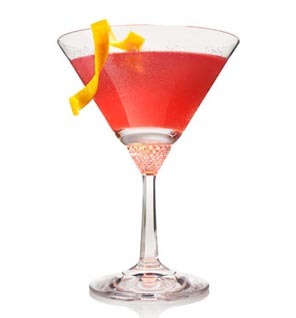 Try this recipe for a refreshing cocktail. All you need is 3 mint leaves, 1 lime wedge, 1 oz white rum and diet lemon/lime soda (I like Sprite Zero). To make, muddle the mint leaves with the rum and juice from the lime. Run the squeezed lime wedge around the rim of the glass. Dip the rim of the glass in a shallow dish of sugar to coat the top. Pour the muddled mixture into your glass, fill with ice and diet lemon lime soda. 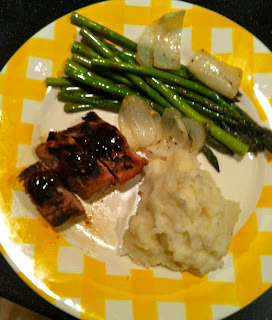 Never made pork tenderloin? This is a great recipe to try! I got this recipe from Food Network Magazine and trust that anyone can make it. The seasoning and homemade sauce add a great flavor to the pork. This is a great meal to serve if you are having people over because it serves about 4. Combine paprika, 2 teaspoons salt, ½ teaspoon pepper, 1 teaspoon brown sugar, mustard powder, onion powder, and garlic powder in a bowl. Rub olive oil over pork. Coat pork with spice rub. Grill pork on medium high heat turning once, for about 20 minutes or until cooked through. Take pork off heat and let sit 15 minutes. To make the sauce, combine all sauce ingredients and cook in a sauce pan over medium high heat until sugar dissolves, about 10 minutes. Drizzle sauce over meat and enjoy. When it comes to jeans, I get impatient. Jeans are a wardrobe must have but impossible to shop for. Finding the perfect pair of jeans is like winning the lottery- the odds are slim! However, if you are up for the challenge of buying a new pair of jeans I think Gap is a great place to start. If you haven't been to the Gap in awhile you should stop in and try on the jeans. They have several fits that work with different body types. They also carry Long and Short lengths. I really like the Always Skinny fit and the Legging Jean. Most of their pairs run around $70 but Gap usually has an online promotion. If you shop now you get 25% off your entire purchase, pretty sweet! Every girl should own a black blazer. Blazers are classic, trend right and a key piece to have in your wardrobe. I love the Urban Outfitters Silence & Noise Boyfriend Blazer. The fit is relaxed and it doesn't have any buttons so it gives off a more casual look. 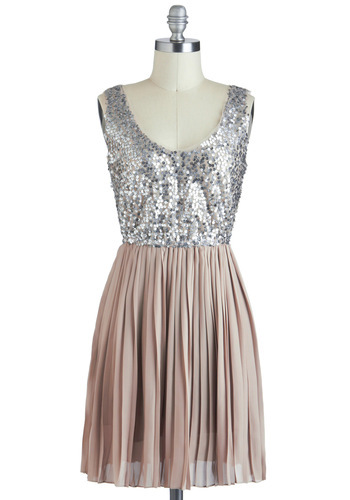 Urban often adds new colors in this style so stock up! I recommend getting the black AND cream. The blazer usually runs at $78, but it is on sale now for only $49- such a steal! Like to stay up to date on the most recent beauty products? Don't like to scour the shelves of CVS wondering which conditioning treatment to buy? Sign up for Test Tube. Test Tube sends you 4 packages a year with samples of all the newest beauty products on the market. 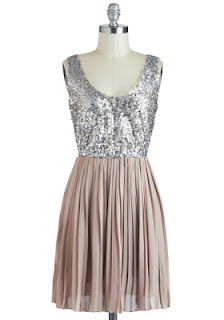 I love this because it lets me try something in a sample size before I have to commit to buying the full size. I also like it because its a great way to stock up on travel size beauty aids. I've tried many products in my Test Tubes and have loved them. I definitely recommend signing up for Test Tube. It is only $10 a month and really a great value! 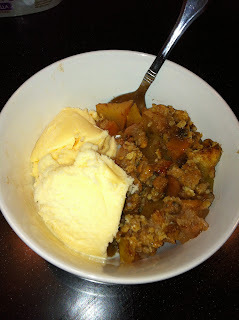 I love apple crisp, especially when it starts to get cold outside. Traditional versions are typically loaded with fat and sugar but this version is not! I made this with my boyfriend and neighbor and we all loved it. Warning: this recipe makes a whole pan of apple crisp so cut in half if you don't want too many left overs. I love this recipe for fall and winter months because its warm and you can use apples from the farmers market or apple picking. I found this recipe in the November 2012 issue of Health Magazine, but you can access it at the link below. Preheat oven to 350 degrees. Spray a 2 inch deep baking dish with nonstick cooking spray. To make the topping: combine all ingredients for the topping in a bowl and mix well. Set aside. To make the filling: combine orange zest, juice, and chopped apricots in a small bowl. Let the apricots soften while you prepare the apples. Mix sugar and cinnamon in a large bowl. Quarter and core the apples. Cut each quarter into 3 or 4 chunks. Toss the apples with the cinnamon sugar mixture. Stir in the apricots and juice. Scrape the mixture into the baking dish and spread it evenly. Distribute the crumbly topping evenly over the apples. Bake for 1 1/4 - 1 1/2 hours or until the crisp is browned on to and the juices are bubbling and thickened. Who can eat apple crisp without vanilla ice cream? I certainly can't! I paired this apple crisp with Kemps Fat Free, No Sugar Added Vanilla frozen yogurt.